SEE THE WILDERNESS LIKE NEVER BEFORE! paddle picturesque waters and find hidden lookouts. GET LOST WITH US IN THE GREAT NORTHWOODS AND DISCOVER THE WILD SIDE OF CALABOGIE PEAKS RESORT! and cross over thousands of acres of Crown Land. 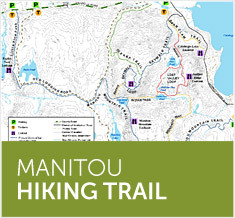 Trailheads are located at the eastern and western ends of the Manitou Mountain corridor. The eastern trailhead is found on Barrett Chute Rd., 1.6 km east of Calabogie Peaks Resort. 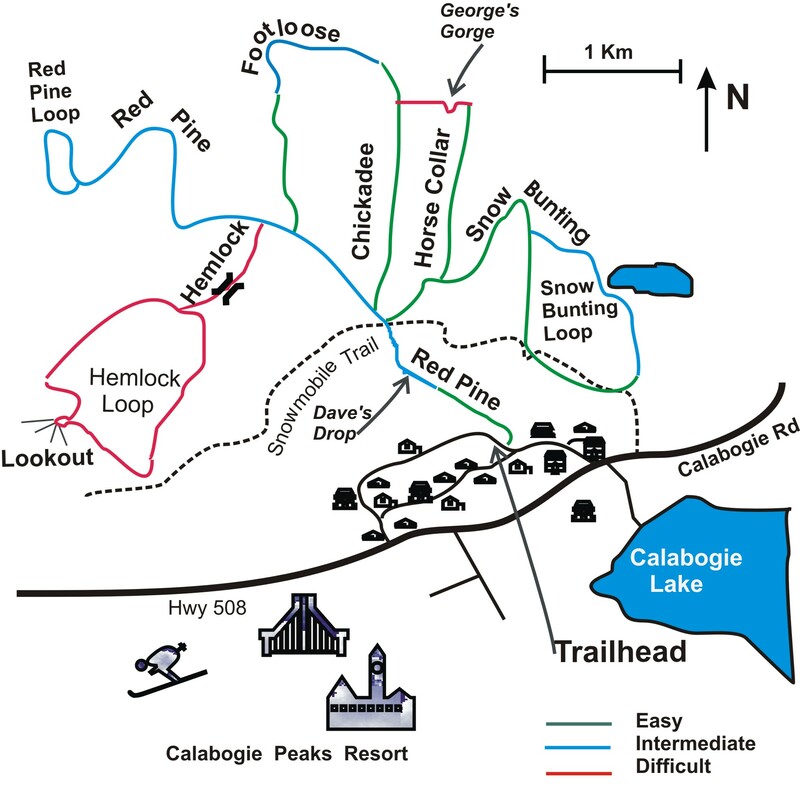 The western trailhead is found on Calabogie Rd/#508 only 2.7 km west of Calabogie Peaks Resort. 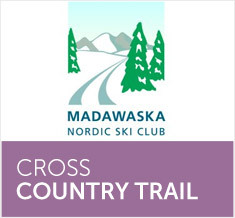 Cross country ski trails in winter, hiking and mountain bike trails in summer; Madawaska Nordic offers 18 km. of easy hiking trails. These trails, at old logging roads, wind their way through a picturesque forest landscape with lots of gentle ups and downs to keep the outing visually interesting and lots of fun. The Madawaska Nordic Trails are located west of Calabogie near Calabogie Peaks Ski Resort. Take a right onto Calabogie Road from Calabogie Peaks Resort. Turn left (2 minutes down the road) on Viewmount Drive and take the second right onto Crestview where you will find parking at the trailhead. From the trailhead, all hikers begin their outing on the Red Pine trail that takes them 1 km slowly uphill to where it intersects with the local ATV trail. At the Crossroads, hikers then have the choice of continuing on Red Pine (and taking any of the other trails that branch off Red Pine) or Snow Bunting. Combinations of the well-marked trails can be used to create hikes of different lengths. Take Hwy. 508 west about 2.2 km past Calabogie Peaks Ski Resort where there will be parking on your right on the side of the road (watch for trial head). 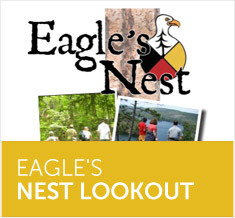 Across the road, on your left, you will note the Eagle’s Nest trail sign marking the entrance to the trail. Follow the trail for about 20 minutes. Note the eagle’s head, painted signs in the trees above you on the right. As you pass a pond on your left, look for a large, colourful and informative sign, just off to your right. Follow the short trail up the hill to the right to the cliff site and enjoy the view. 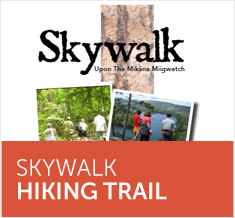 Walk to the top of Dickson Mountain where you will experience the highest hiking adventure in the Ottawa Valley with spectacular panoramic views of Calabogie Lake, the Lost Valley and the Madawaska wilderness.